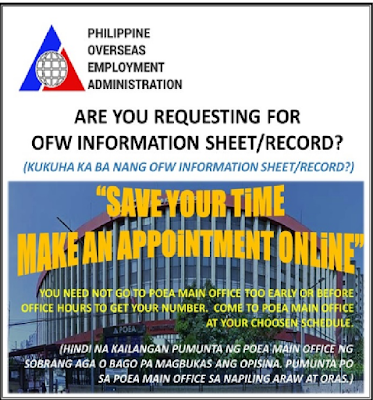 Home » OFW GUIDE » Applying for an online appointment for OFW INFORMATION RECORD? 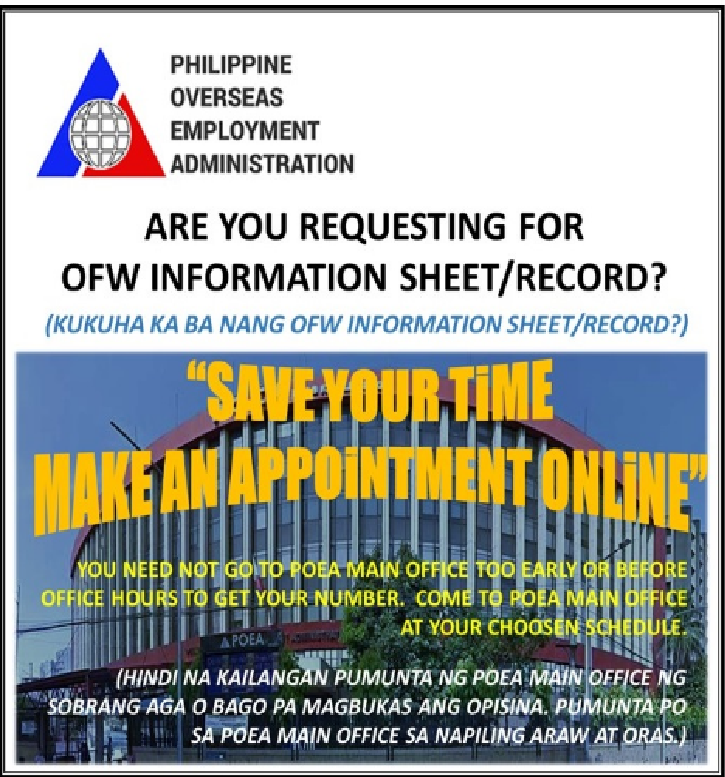 Applying for an online appointment for OFW INFORMATION RECORD? Are you Ex-Abroad and planning to work again abroad? One of the requirements in working again in abroad is the OFW RECORDS. Today, the Government has upgraded its system unlike before you have to go to the POEA Office early morning and line up in long lines. Now, no more long lines, no more long time of waiting because of ONLINE APPOINTMENT SYSTEM which has been launched by the POEA. How to apply an appointment online? Just click the link and you will be redirected to the main page and fill up the form online.